The Nike+ is the granddaddy of fitness trackers, and might have just been too early for its time. It is designed to fit under the insole of the Nike+ ready shoes, and measures your pace, distance, time elapsed and calories burned. This information is transmitted wirelessly to your device for real-time feedback while you train. While we are hyped by the Samsung Galaxy Note 5, another “Note” made its appearance in China and will (hopefully) be available in Singapore by year end. Two phones to be exact, the Redmi Note 2 and Redmi Note 2 Prime. The Xiaomi Mi Band is a basic, yet very comparable wearable to other offering from Fitbit or Jawbone, with cool features such as notification alerts, but the design isn’t exactly fashion forward. The Mi Band comes with a standard silicon rubber strap, typically in black, although there are other cheerful and colourful options. However, they are still more suited as a sports accessory. Pair it with formal clothes, and the Mi Band stands out like an odd ball. To ensure that you are still counting your steps and monitoring your exercise, Xiaomi have released a leather strap for the MiBand complete with alloy case. You can’t buy it yet from the Mi Shop in Singapore though. 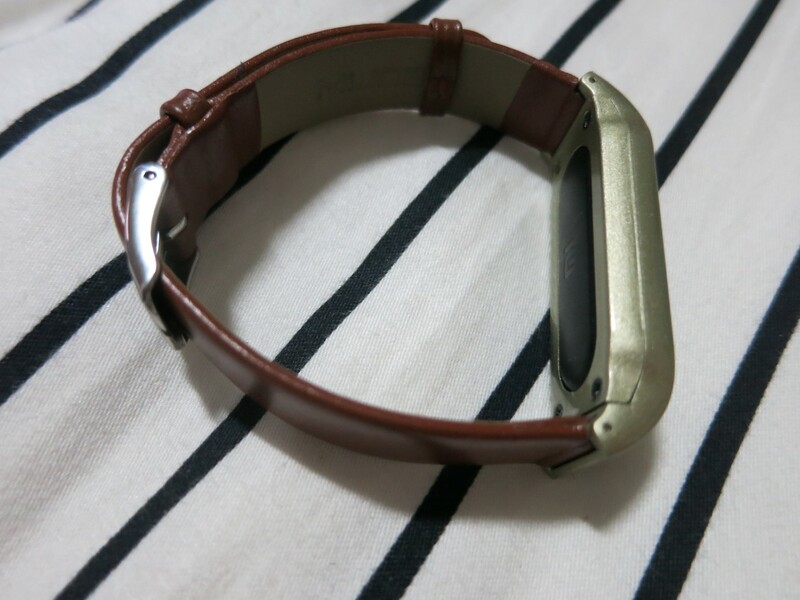 The brains of the MiBand simply slot in to the leather wrist strap of a more upmarket look. 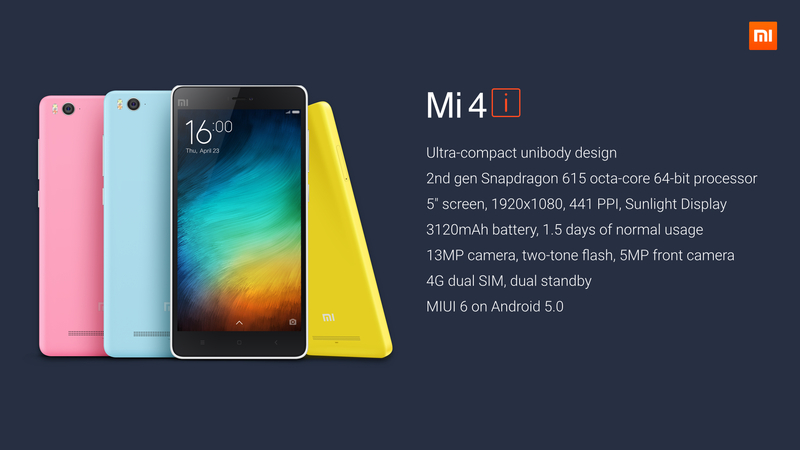 The Mi4i will be retailing in Singapore from 12 May 2015 – at $279. It is a excellent price point for a plastic clad version Xiaomi’s former flagship. Specs have been tuned down slightly, on the processor front, as Xiaomi opted for the cheaper octacore Snapdragon 615. It retains the very nice 5 inch Sharp / JDI Full HD OGS display, which is one of the better IPS screens in the market. The Xiaomi Mi4i will be available in Black, White, Yellow, Pink and Blue five color variants. For the initial period, the Mi4i in Singapore will be available in white only. The Mi4i is of much better build quality than Xiaomi budget Redmi series, and the white back is a matte soft rubber material which offers good grip. There’s also an anti-grease coating which helps with the comfortable feel when holding it. When you compare to prices of other mid-range to high-end phones, the Mi4i is really value for money. Also, the budget Redmi series while recognised as value for money, were at times criticized for the bulky design. At only 7.8mm thin and weighing only 130g, it is the lightest in its category.